Where is the OBD II port on a Honda Civic 2012 located? A picture would be good. Thanks. 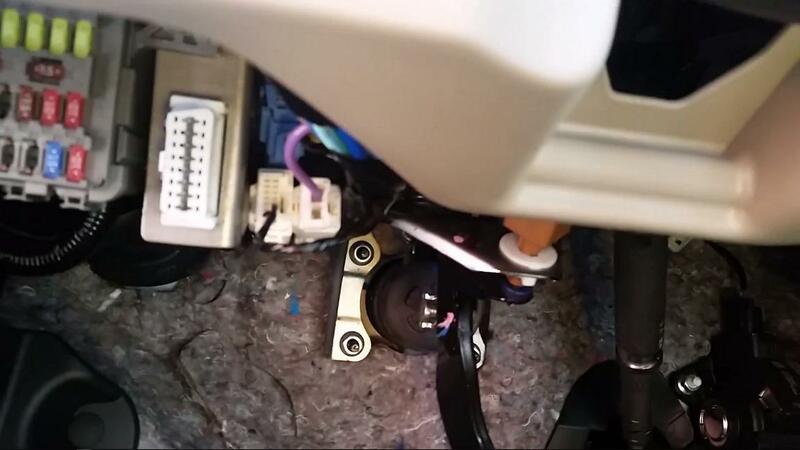 If you look just to the left of the steering wheel underneath the dash, in the driver's footwell, you should see the white connector. Not the answer you're looking for? Browse other questions tagged honda civic obd-ii or ask your own question. Can OBD-II be used to control the vehicle? Is it possible to access multiple CAN buses through the OBD-II port? Is it Possible to Control Lights through OBD-II Port? Is it possible to check ABS, ESP and Airbag data from obd port? Can I turn the steering wheel in Honda Civic 2017 (No Honda Sending) by sending commands via CAN bus (OBD ii port)? Can I use a BMW round 20 pin to OBD II adapter with a OBD II scanner?